"This artwork is not affiliated with, nor authorized, endorsed or licensed in any way, by Hasbro Corp, its affiliates or subsidiaries. It is a parody." 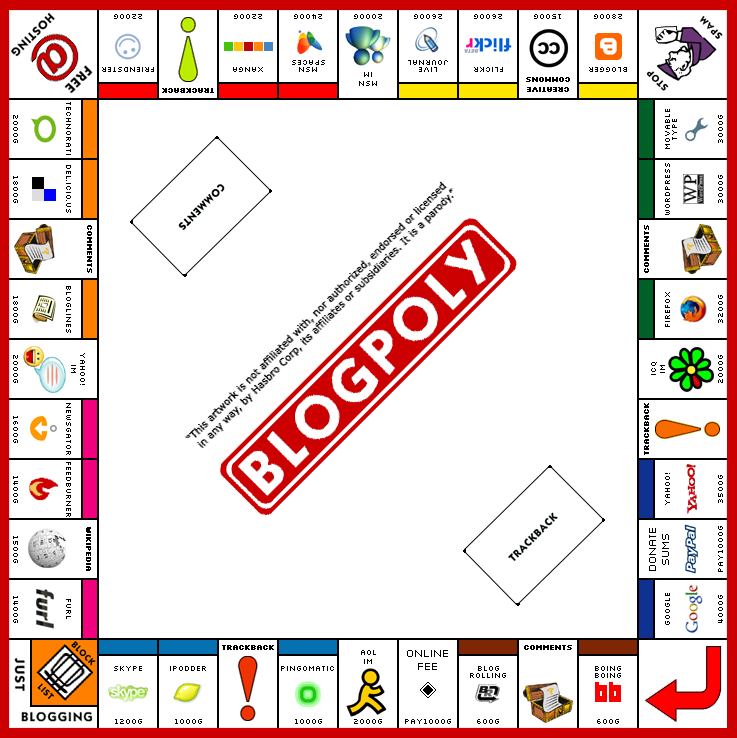 *Thanks Aaron's cc for telling me that he, Aaron actually made a game called "Blogopoly" 15 months ago. I am sorry and I wish I would known about it earlier. Here is the Aaron's "Blogopoly". I have not commited any plagiarism only getting inspired by Monopoly.